Daisy lantern with optional dimensional petals. 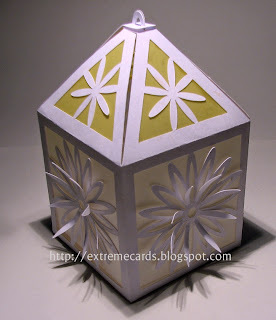 Line with vellum and light with a battery operated tea light. 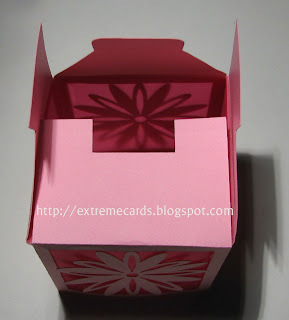 Download file set: Silhouette Studio, SVG (how to use in Cricut Design Space), PDF, DXF. 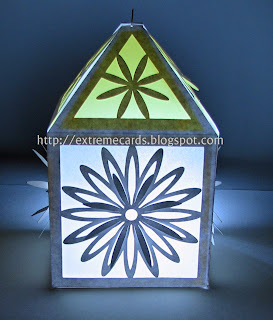 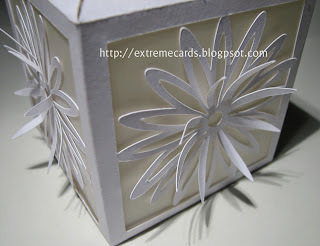 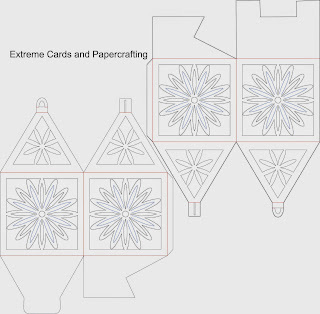 Cut lantern pieces from card stock. 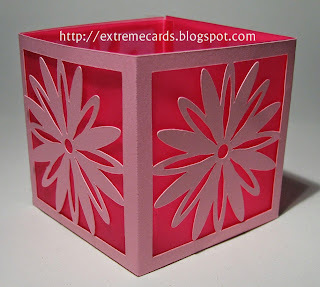 Delete cut lines for dimensional petals if you prefer a flat daisy cut-out, as shown on the daisy votive candle holder. 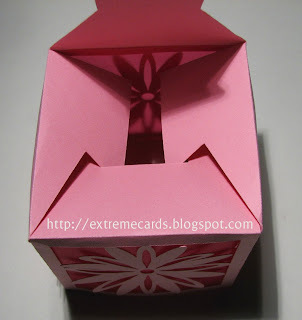 Score fold lines and crease. 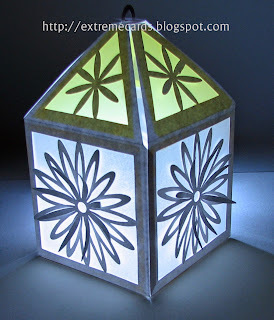 Glue vellum to inside of lantern pieces. 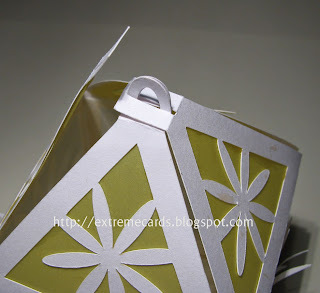 Adhere the two lantern pieces together at the sides using long tabs. 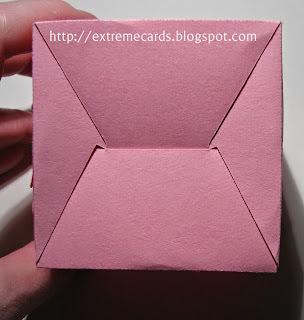 To close top, hold the rounded top pieces together and slide the rectangular top pieces over them. 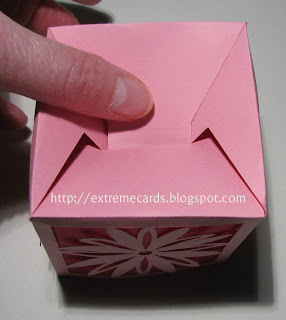 To close bottom, fold down the U shaped piece, then the slanted sides, then tuck in the tongue-shaped piece.